UPDATE – RIDE POSTPONED: PATH STILL CLOSED !! 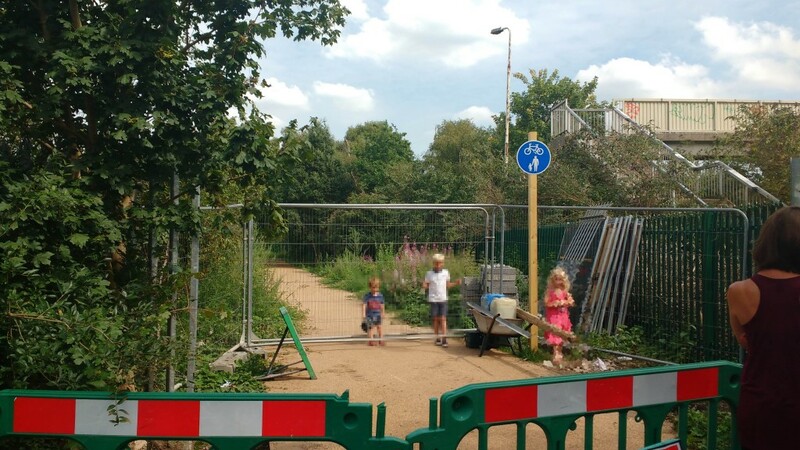 As can be seen the path from Twickenham Station to Crane Park should now be open in September so we can have a celebratory ride. Meet Twickenham Station 10.15. This entry was posted in Rides, Rides For Everyone and tagged rides, Rides For Everyone by Paul Luton. Bookmark the permalink.